Yalumba “Y Series” Shiraz Viognier 2014, $10, Bacchus Importers Ltd. The horse featured on the label pays tribute to the animals that pulled the plows and hauled the harvest for generations of grape growers. The wine is as exuberant and hot to trot as the illustration, with brilliant red fruit and floral aromas, jammy flavors, and a slightly spicy finish. This is the wine for outdoor gatherings, cookouts, and casual food. You could even dunk it in that cooler full of beer and ice for a few minutes if the day is getting warm. Speaking of beer, no summer party can go without some icy cold ones. 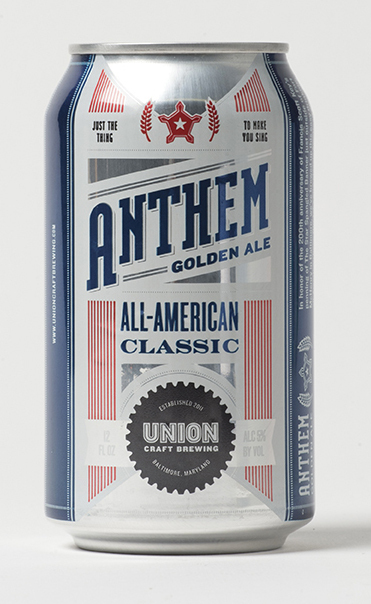 And thanks to the resurgence of great beer brewed right here in Charm City, Anthem is a winner. Conceived as an homage to the penning of “The Star-Spangled Banner” in Baltimore’s harbor more than 200 years ago, this is a Baltimore beer for a Baltimore race. It’s a lighter, thirst-quenching style akin to a cream ale, and at 5 percent ABV, it isn’t going to send you to the hammock before the race is run. This bourbon is aged for at least seven years and has a high rye content of 36 percent. At 99 proof, this draft horse of a whiskey needs water to help it amble smoothly, either over ice or in a cocktail. What better cocktail to try it in than the Derby drink, a mint julep? Gently rub the mint leaves along the side of the cup. Add bourbon. Fill with crushed ice. Garnish with mint springs and drizzle the simple syrup to taste.